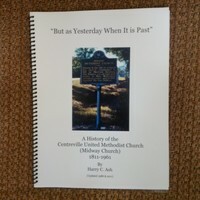 "But as Yesterday When It is Past", A History of the Centreville United Methodist Church (Midway Church) from 1811 to 1961 is available for a minimum donation of $14.00. 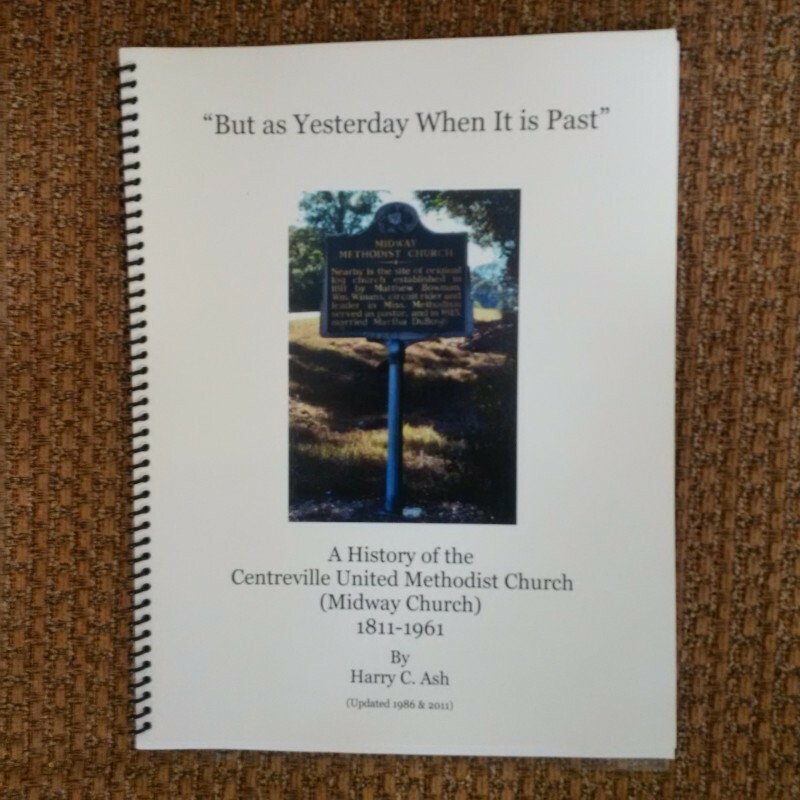 The history was updated through 2011 for the 200th Anniversary Celebration of the Centreville Church. It was written by Harry C. Ash and updated in 1986 and 2011. To obtain a copy, send your check to Centreville United Methodist Church, P.O. Box 365, Centreville, MS 39631 with a return mailing address. Note on the check for HISTORY.